In the wake of Harvey Weinstein’s unraveling, women in Hollywood and beyond are sharing their stories en masse. Among them is Ross, who was sexually assaulted by an Oscar-winning producer (unnamed, not Weinstein). Shaken by the experience, Ross opened up to her confidante, Fisher. Little did she know at the time, but the late Star Wars actor had designs on retribution from the moment she heard Ross recount the assault. “About two weeks later, she sent me a message online and she said, ‘I just saw [unnamed producer] at Sony Studios. I knew he would probably be there, so I went to his office and personally delivered a Tiffany box wrapped with a white bow,'” Ross recalled Fisher telling her. 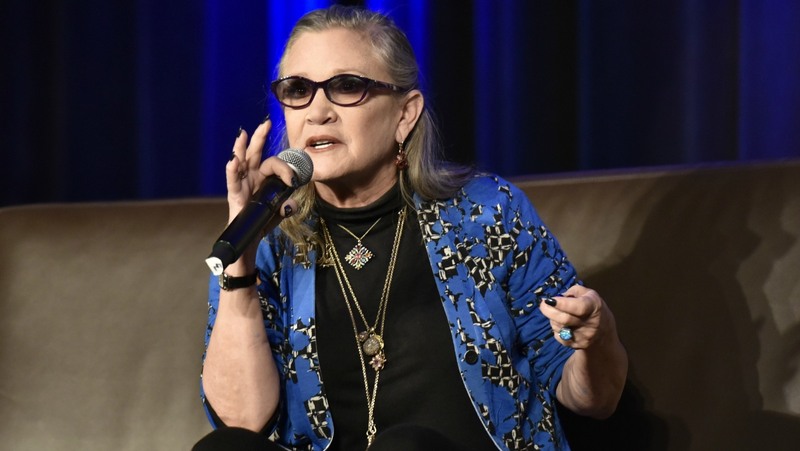 Although Ross didn’t press charges or come forward about the assault until now, she explained that simply being supported in such a way by Fisher moved her. “It felt validating to know, ‘OK, first of all, this woman who I love as a friend was not just a fake Hollywood friend. That’s who she was. She spoke out and she put things out there in your face,'” Ross said. We should all be so lucky to have a friend like Fisher!